On today’s chunking trip we had 4 keepers and 5 shorts. 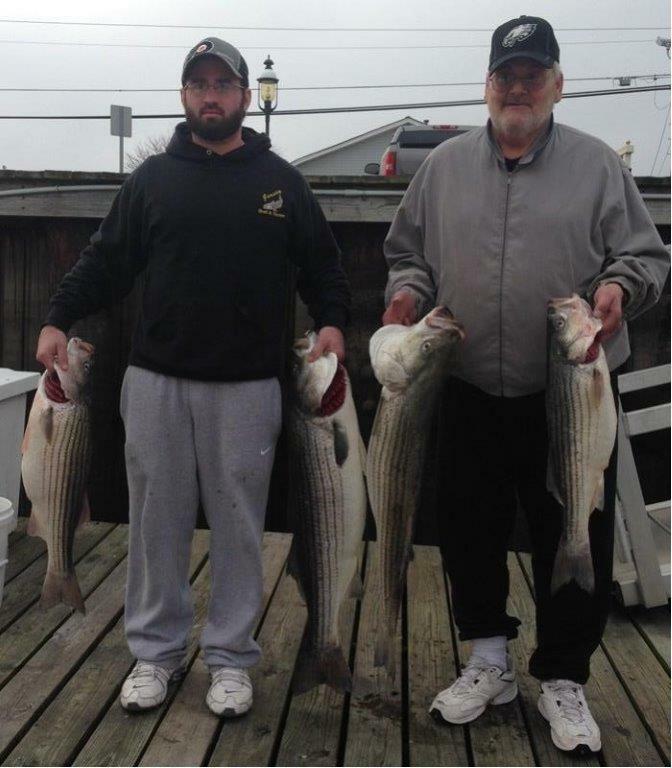 Two of the keepers were very nice size stripers with one just over 40 inches and the other almost as big. Most of the shorts were nice fat ones that were just under the legal size limit so they went back. Overall pretty good action on mostly chunks at the end and beginnings of the tides. When the tide was ripping we had no action at all and even our fish finder was blank until the tide slowed up some. Overall a pretty good trip again today especially considering the pea soup fog this morning with absolutely no visibility when we left the dock before sunrise.